Heavy Duty turnbuckle for tractor over 150HP to 400HP, Advanced forming technology in China. The technology of pressed ball, we design by ourself for this area, we can produce all various of forged ball ends by our design. Ratchet technology, we can make operation easily by our ratchet wrench, especial in heavy duty tractor top link. 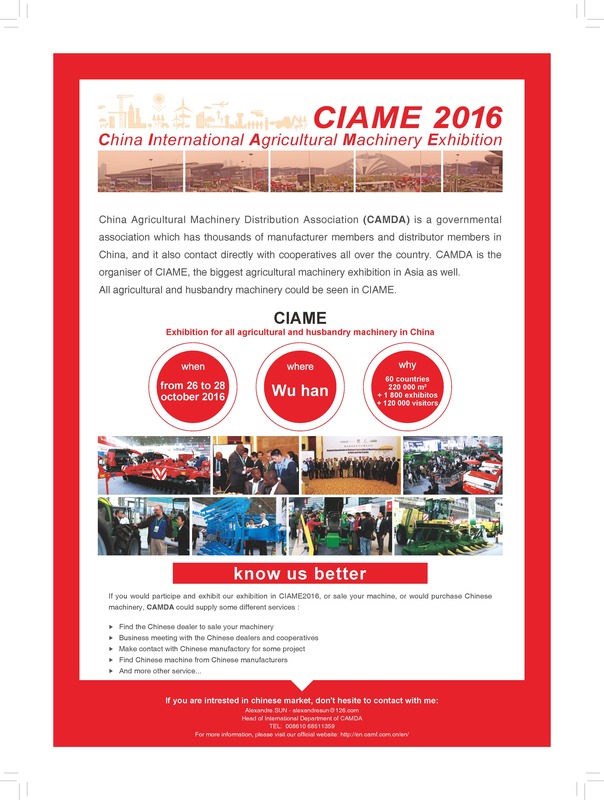 l each exhibition contained more than 1500 exhibitors in recently 10years.TheExhibition area in CIAME 2014 was 200,000 square meters, and 1622companies were joined.